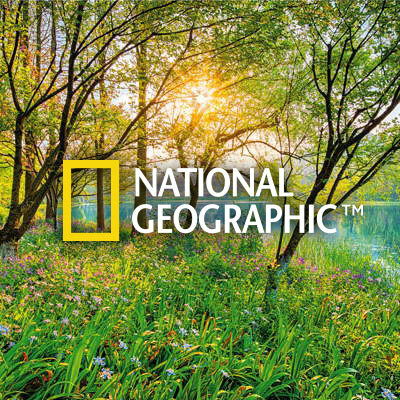 „Being successful is all about giving. 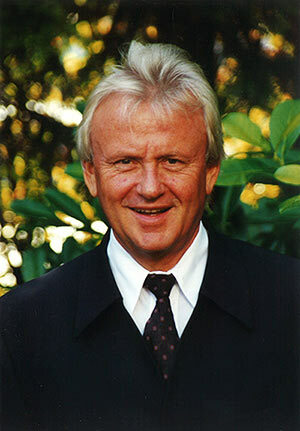 Gerhard Komar, father of today's Managing Director Sabine Komar-Häusler, founds Komar Werbung & Verlag with its headquarters in Rosenheim. 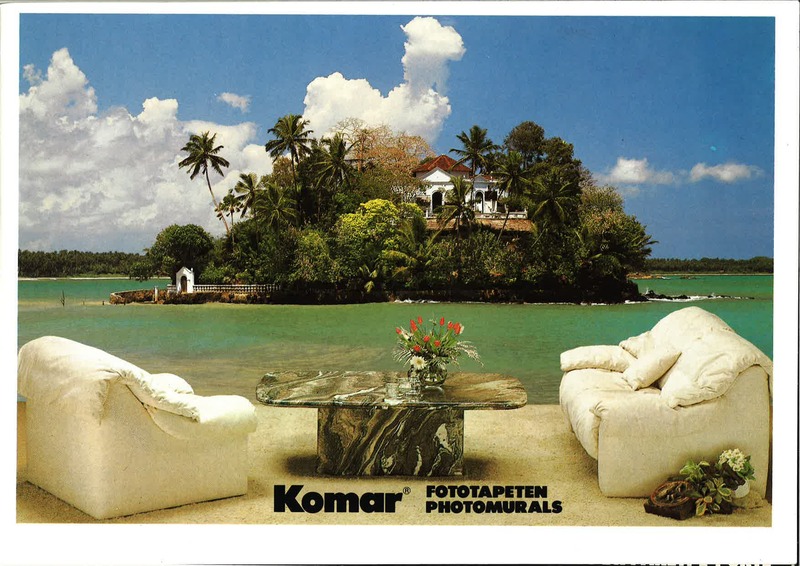 Only 24 years old at the time, Komar had a keen eye for trends and was constantly searching for ways to achieve professional fulfilment. 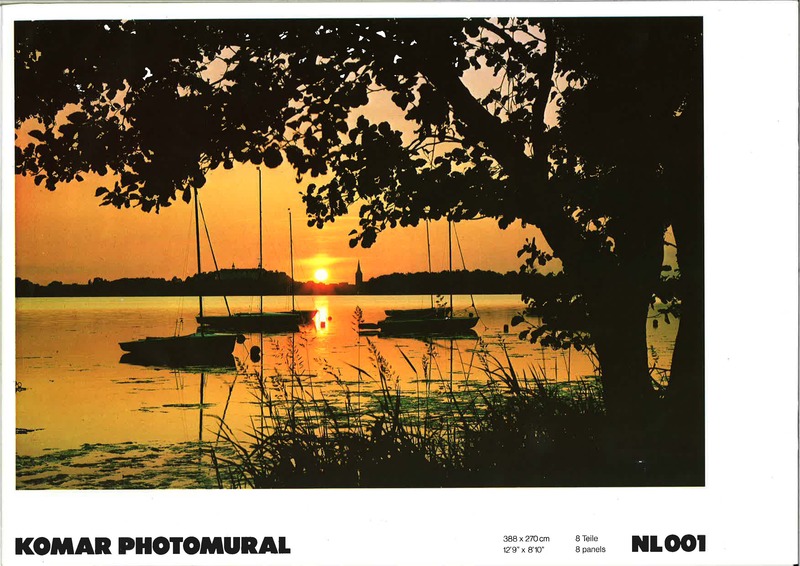 Even before setting up the company as it is known today, he turned his passion into a profession, and achieved considerable success, for example, with the production of the Chiemgau Sports Calendar, for which he took the photos himself. 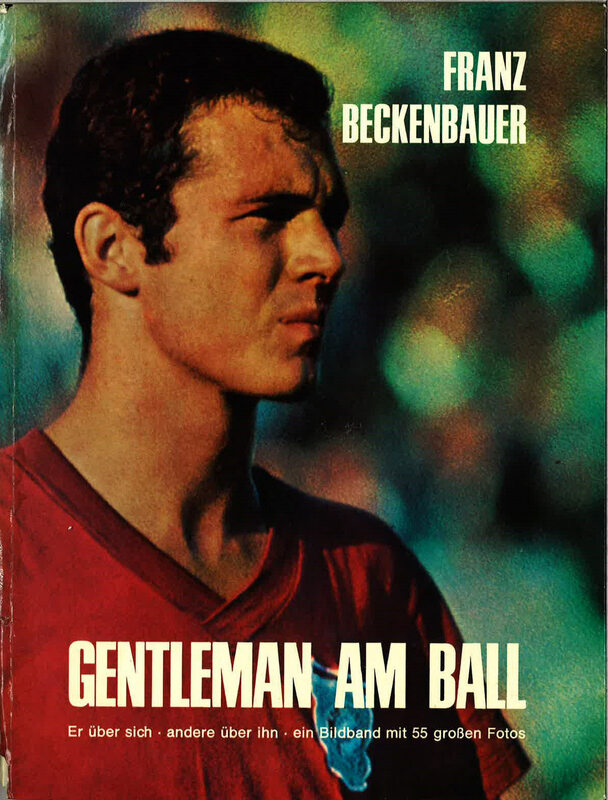 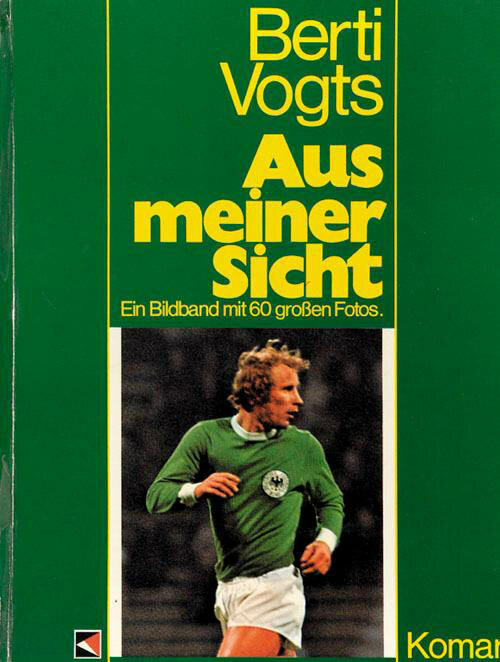 The company publishes books on world-famous soccer players and contemporary sport legends such as "Mensch Maier" (Sepp Maier), "Gentleman am Ball" (Franz Beckenbauer), "Klein aber Oho" and "Aus meiner Sicht" (Berti Vogts) as well as "Goldene Beine" (Gerd Müller). 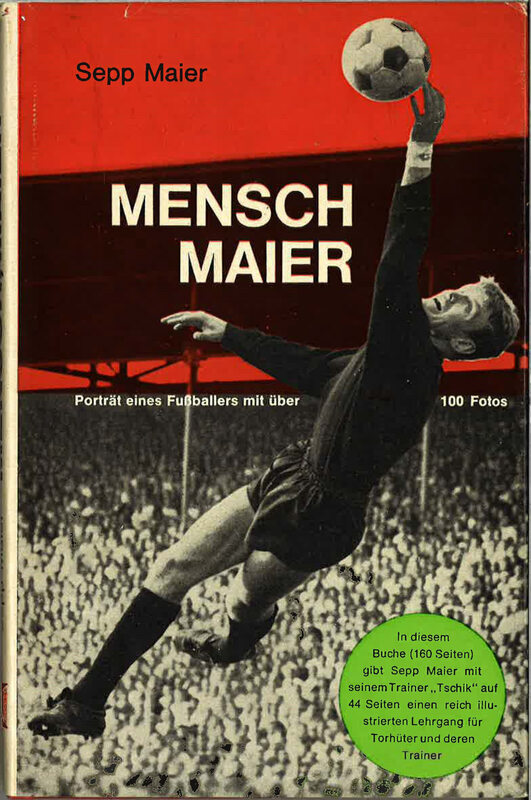 Numerous photo wall calendars are also produced for various German football associations. 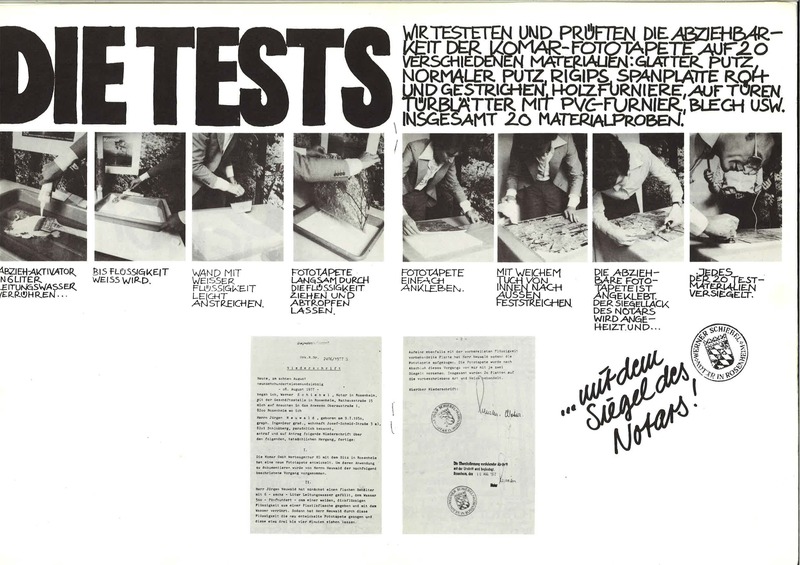 The company's own screen printing plant goes into operation. 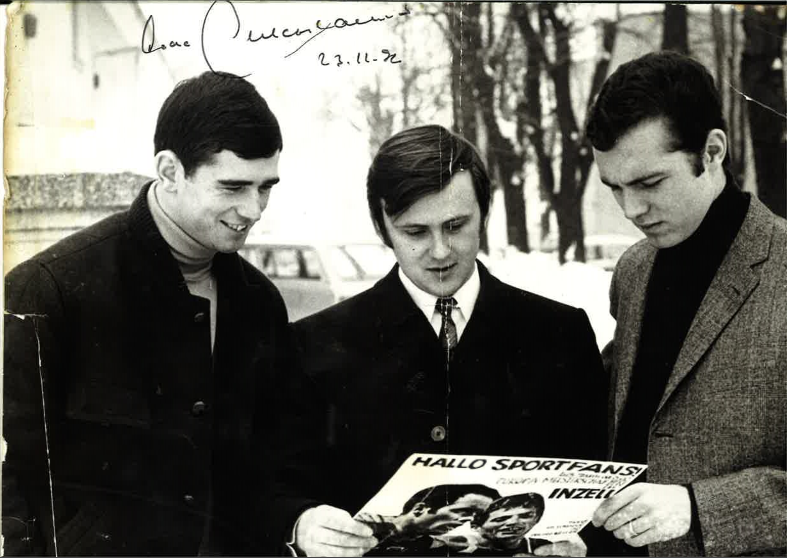 Gerhard Komar (middle) with the legendary football player Franz Beckenbauer (right) and Erhard Keller, two-time Olympic champion in speed skating (left), at the presentation of the new Komar sports calendar. 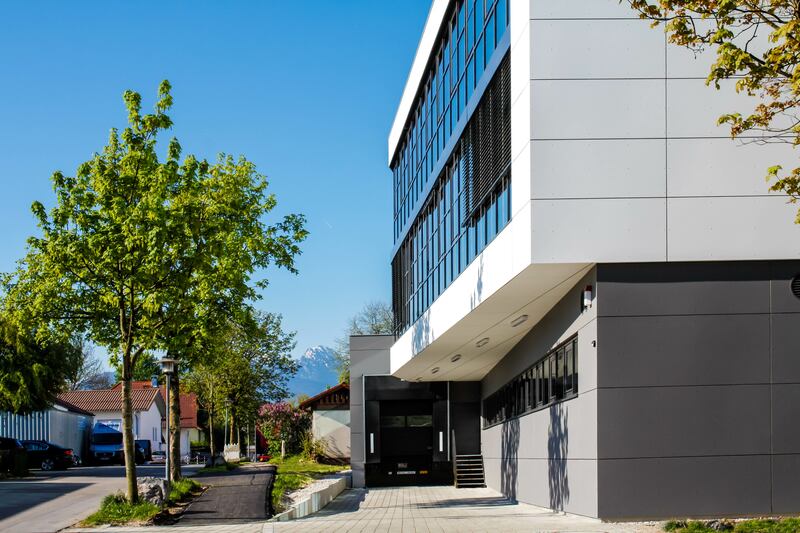 The company builds and moves into a new building with its own printing shop. 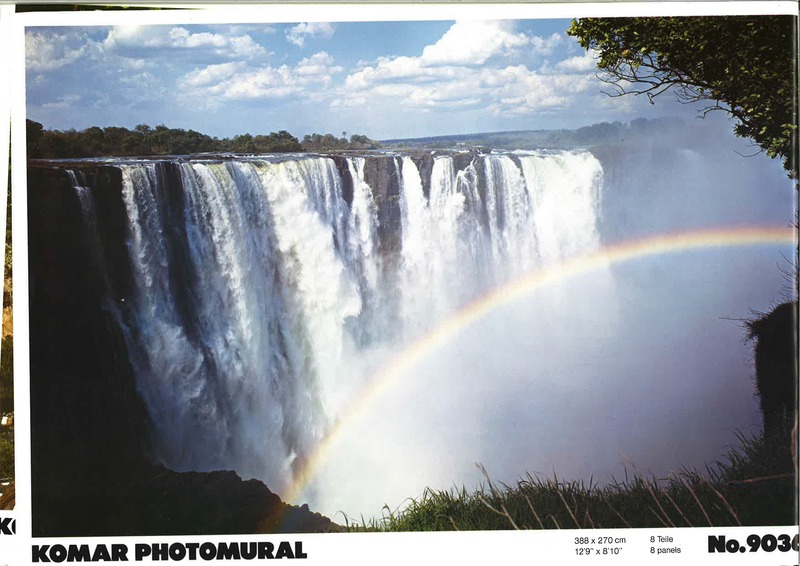 The new premises is big enough to accommodate an advertising agency, publishing house and printery. 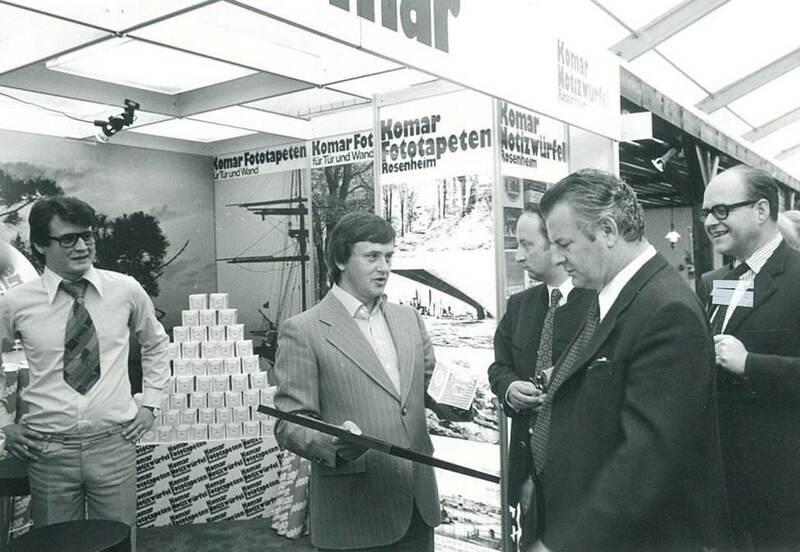 Bavarian Minister for Economic Affairs and Transport Anton Jaumann meets Gerhard Komar at the exhibition stand in 1973. 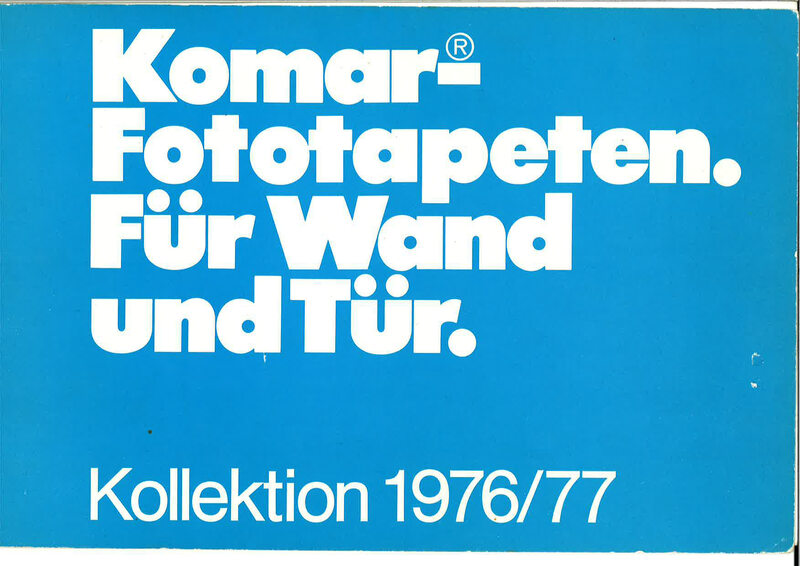 Komar publishes its first catalogue of photomurals – a product that is new on the market at that time. 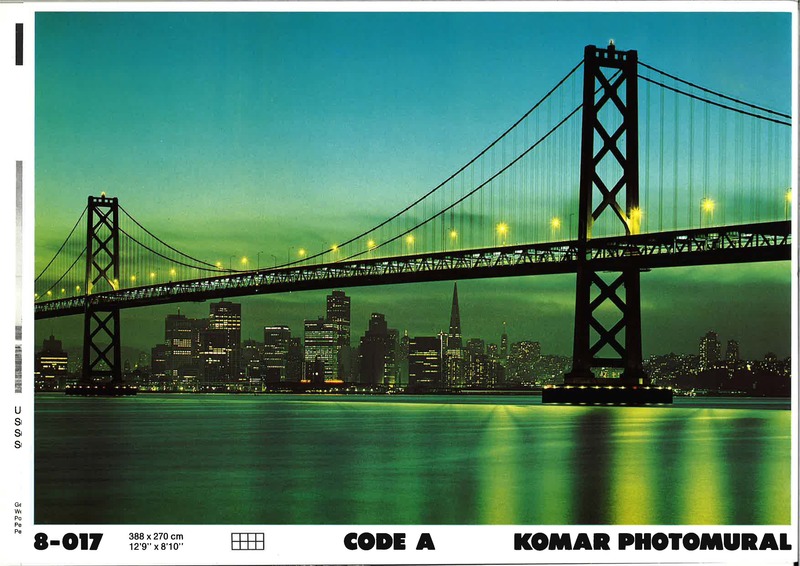 Komar's current collections still contain many of the earlier trends. 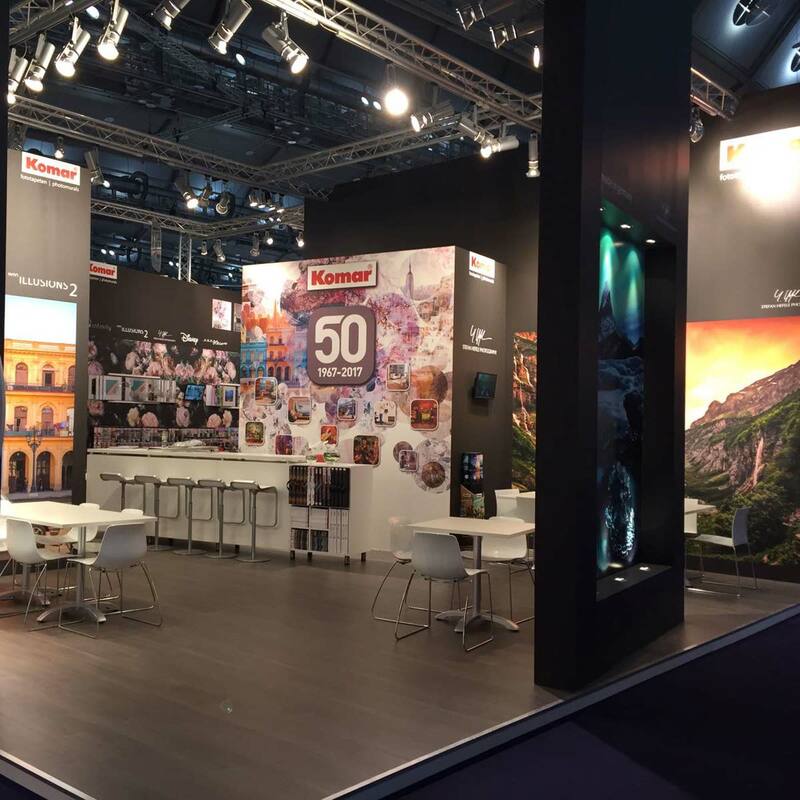 Komar continues to grow and successfully consolidates its position as world market leader. 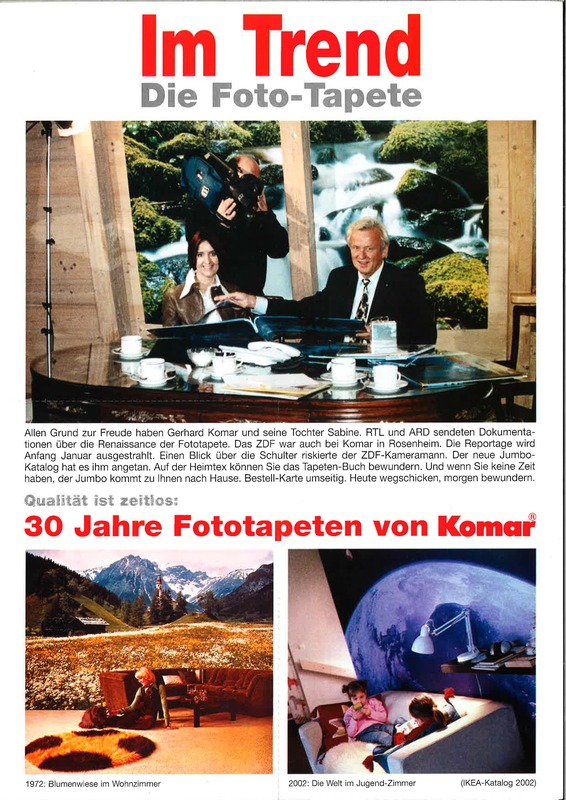 Gerhard Komar sets up the weekly "echo" – a newspaper that publishes news and information for the town and district of Rosenheim. 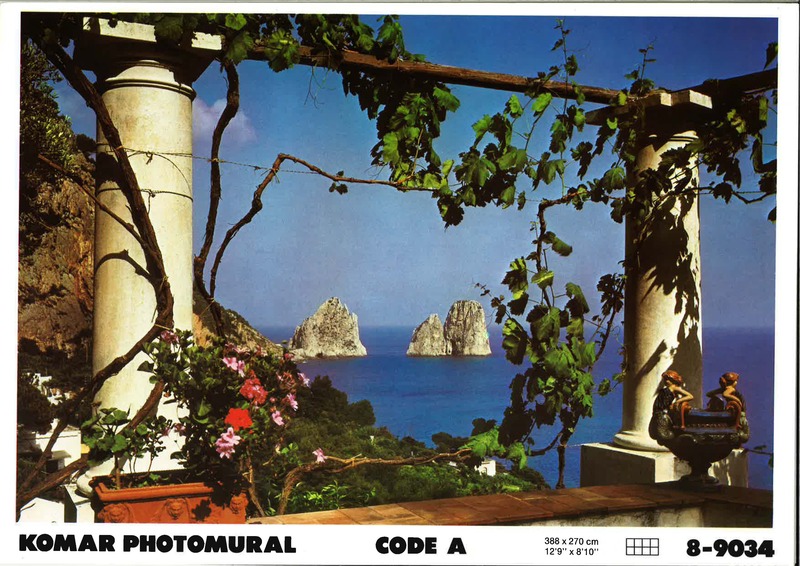 The photomural collection continues to grow. 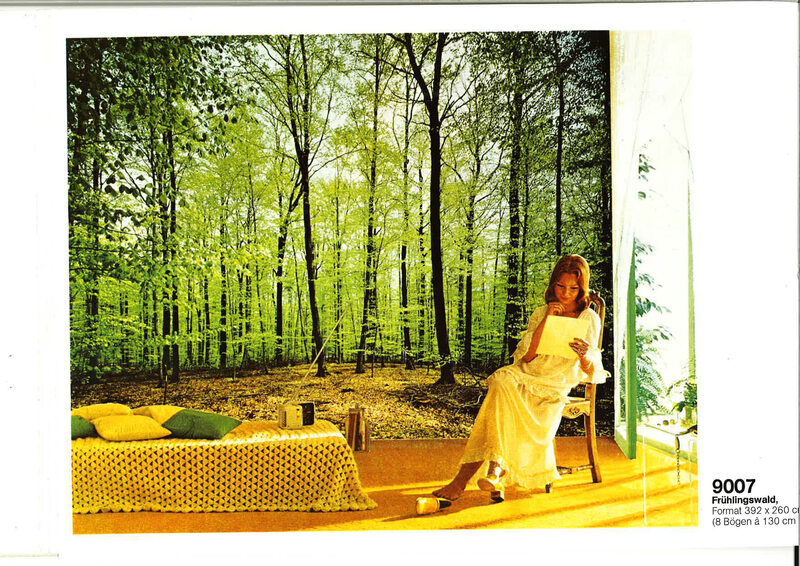 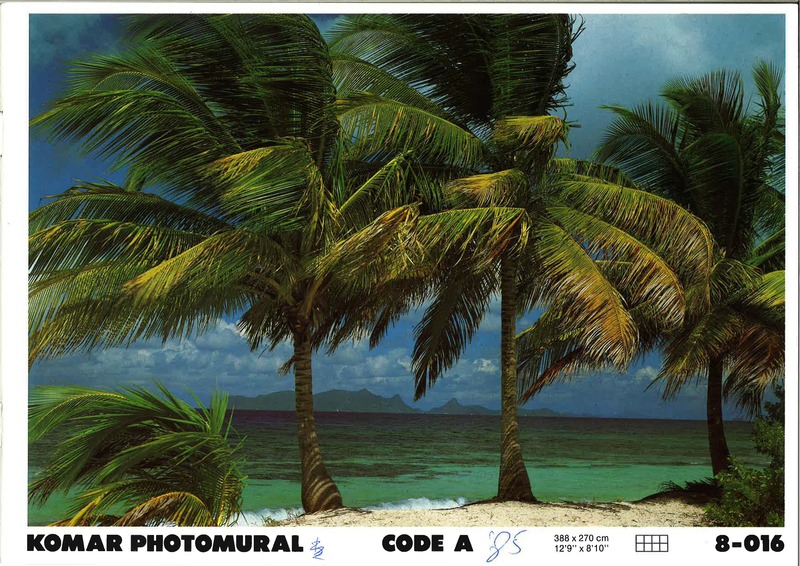 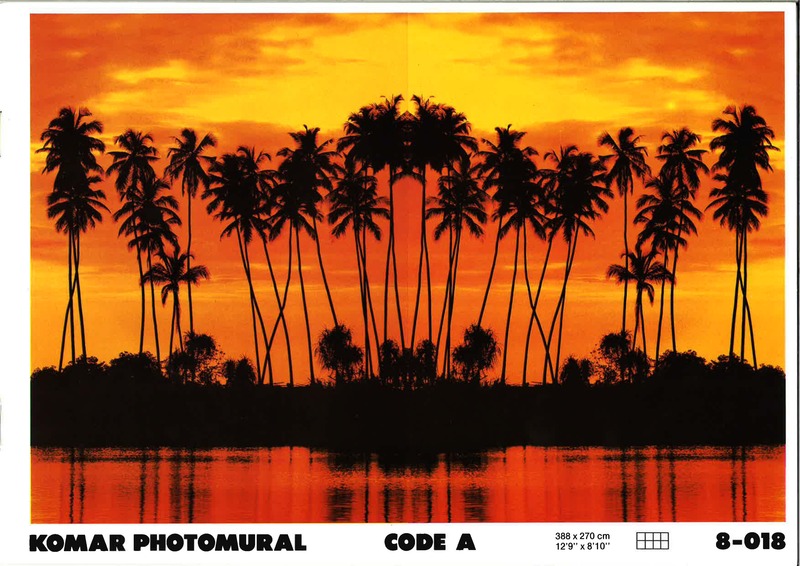 Extracts from the 1984 catalogue featuring the latest photomurals and door coverings. 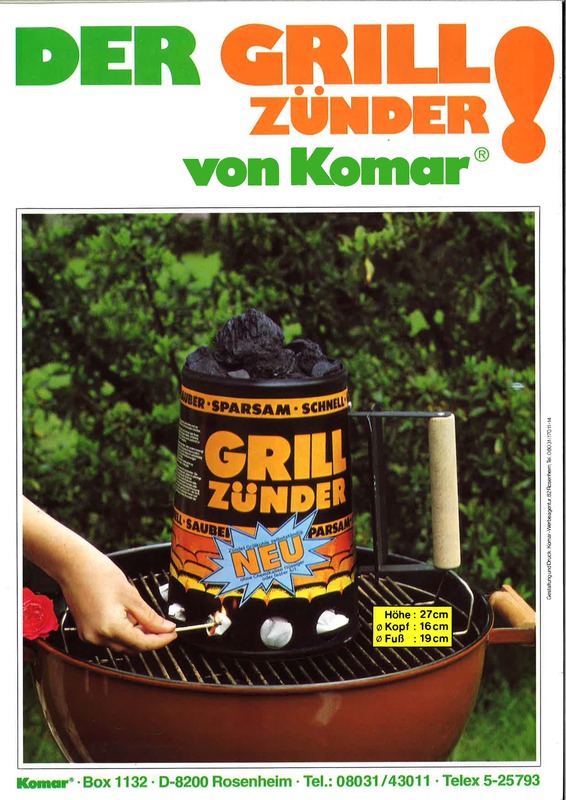 Gerhard Komar introduces his latest product: the Komar barbecue lighter. 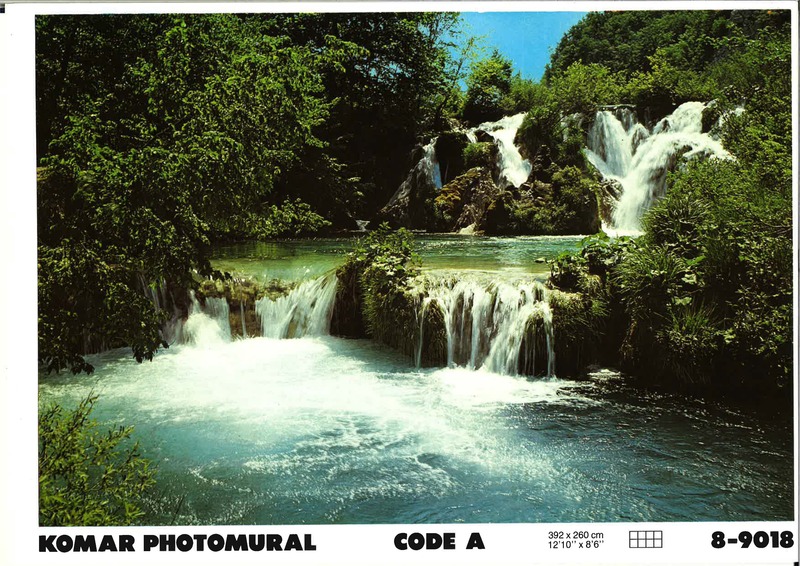 Under the supervision of Gerhard Komar, the state offset and playing card printing company in Budapest is integrated into a special printing plant. 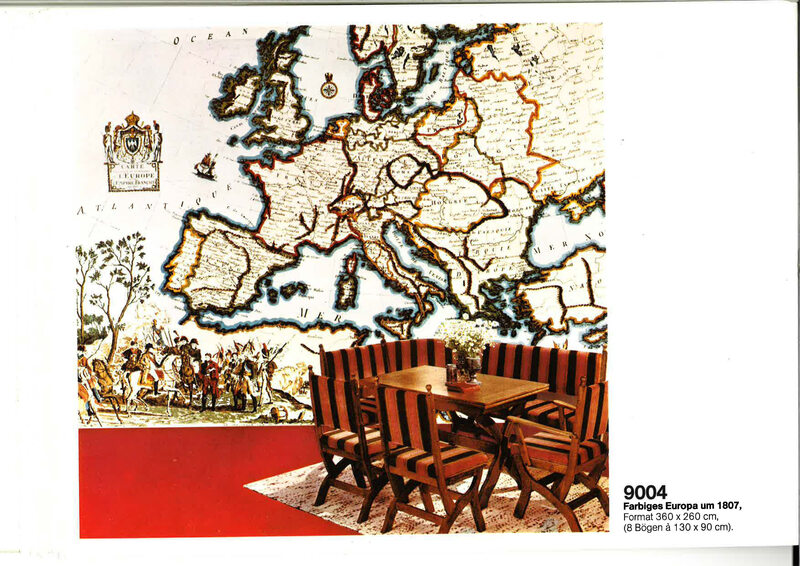 Wallpaper motifs from the 1986/87 Komar catalogue. 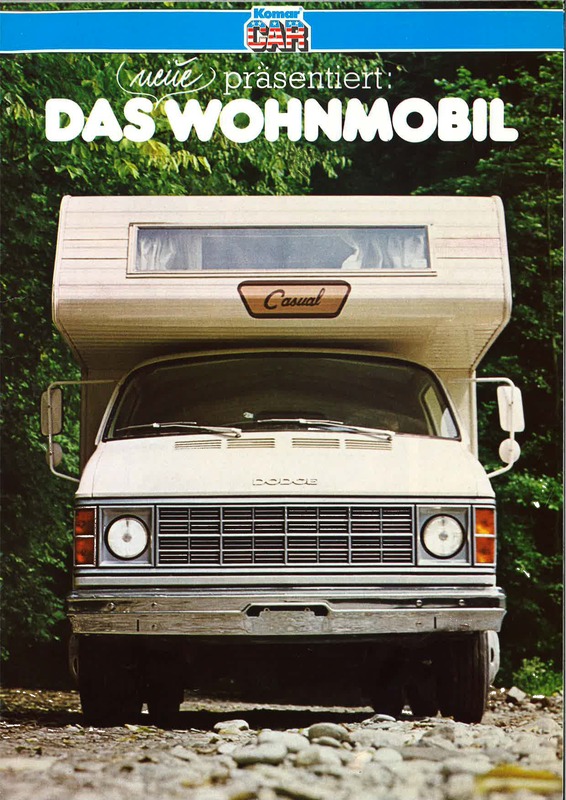 Gerhard Komar founds Komar Car Handels GmbH and starts selling and leasing camper vans. 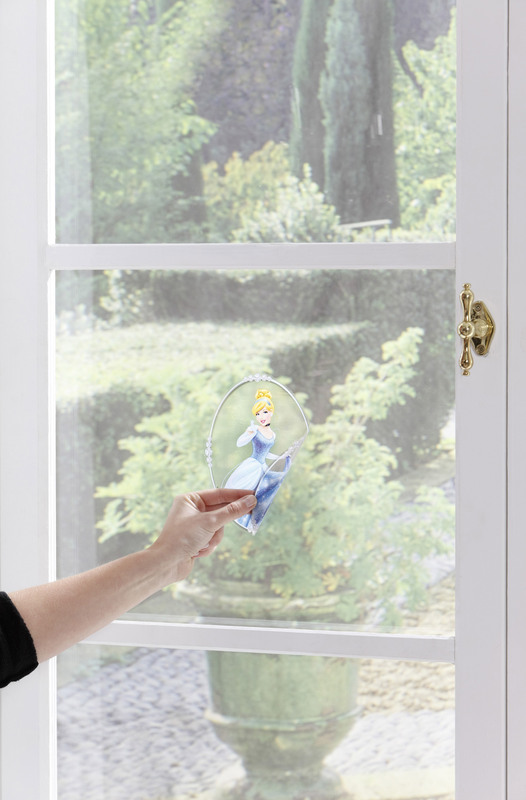 Komar produces self-adhesive and removable photomurals for the first time. 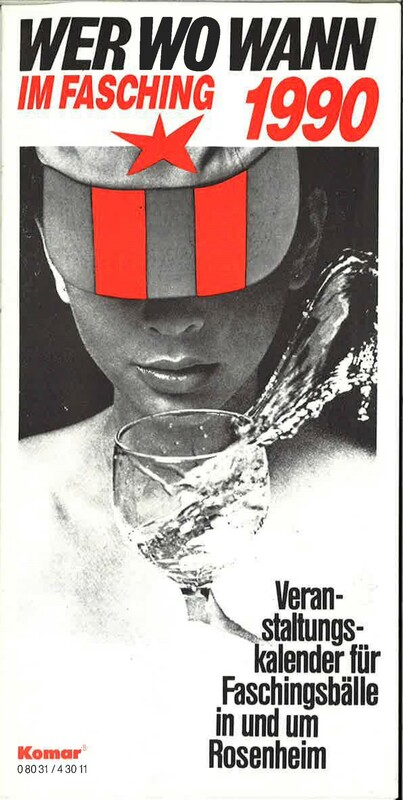 With the publication of the "One for Two" booklet, Gerhard Komar presents his latest business idea from the field of gastronomy. 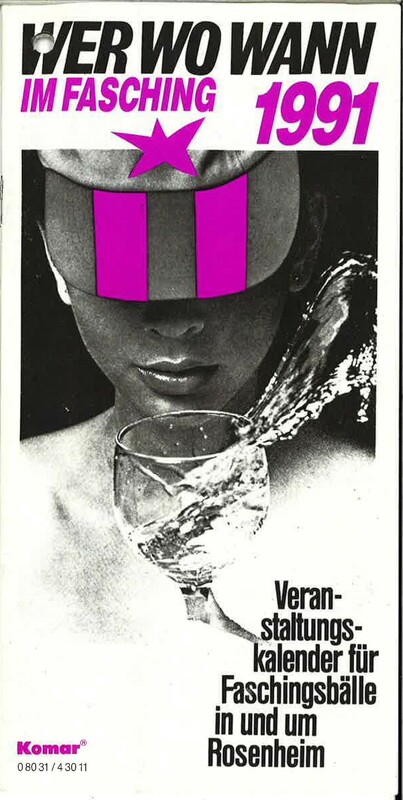 Komar's carnival guide for 1990 and 1991. 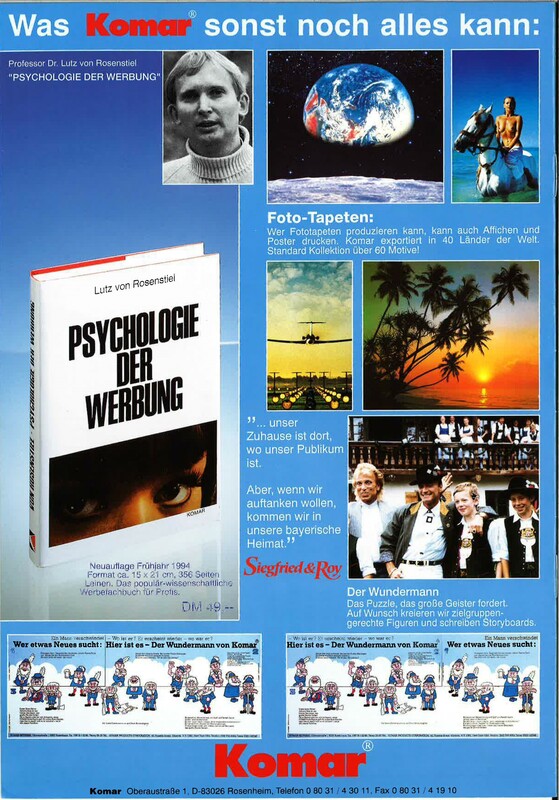 Readers can find out all about special carnival festivities and balls in the Rosenheim region. 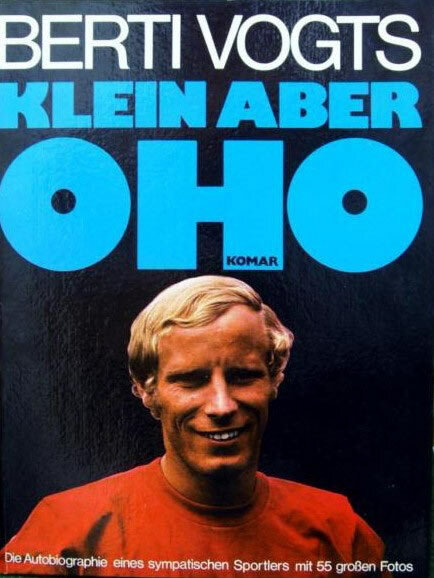 Popular German singer Heino pays Gerhard Komar a visit in Rosenheim. 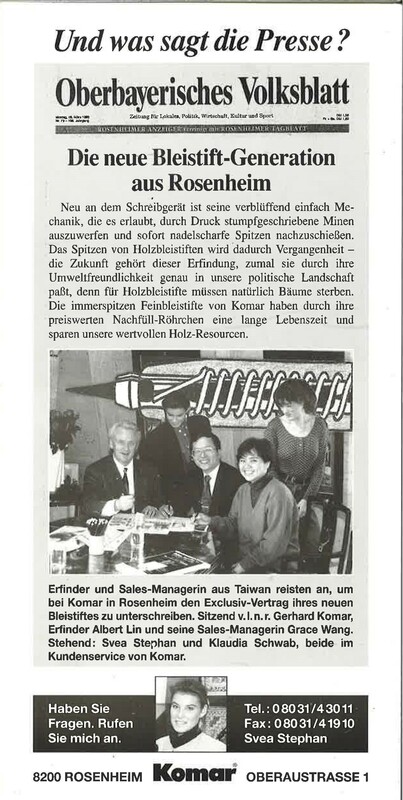 Gerhard Komar and his Taiwanese business partner sign a deal on their latest invention: self-sharpening pencils. 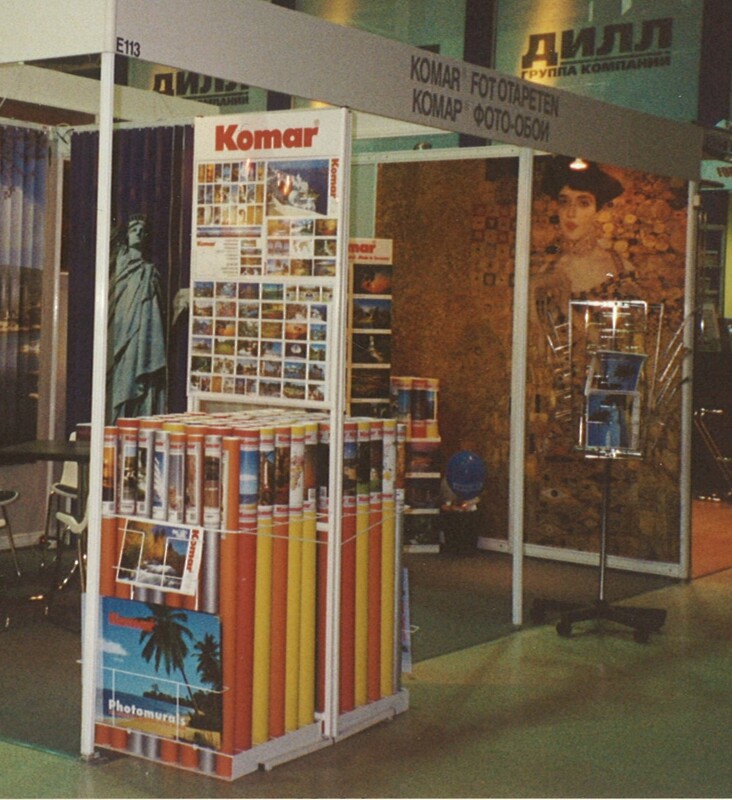 Some of Komar's products from 1993. 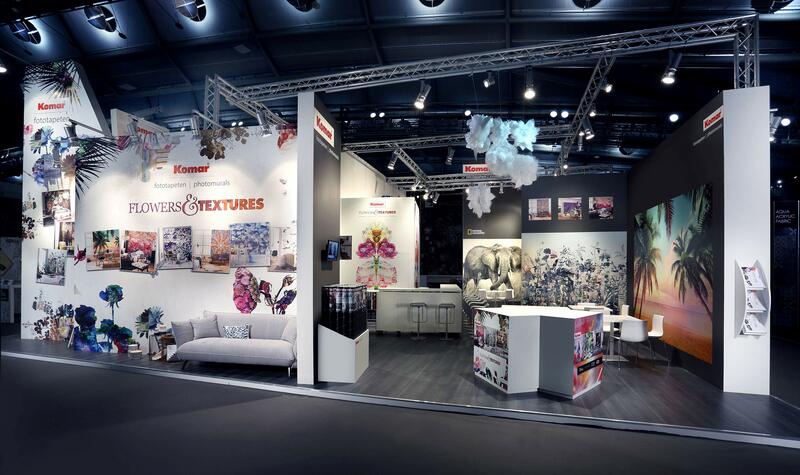 Today's Managing Director Sabine Komar-Häusler presents Komar's collection at the Heimtextil fair in Frankfurt. 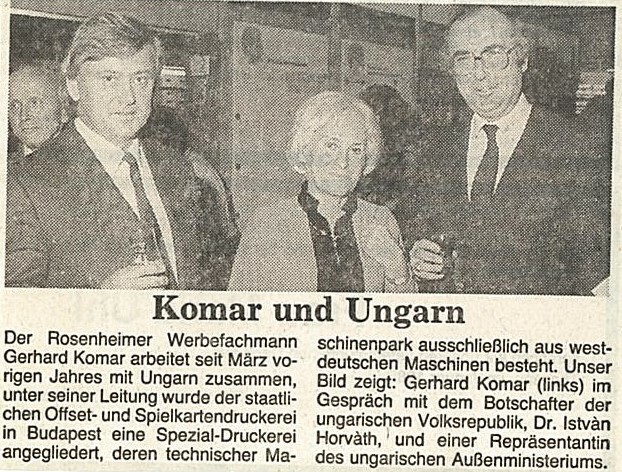 Gerhard Komar attends the inauguration of Komar's new premises. 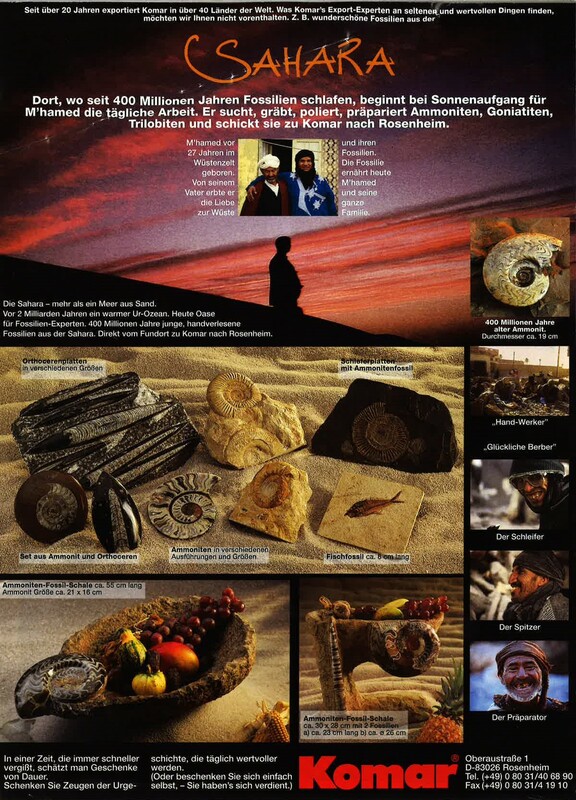 In cooperation with business partner M’hamed, Gerhard Komar starts selling hand-picked 400-million-year-old fossils from the Sahara. 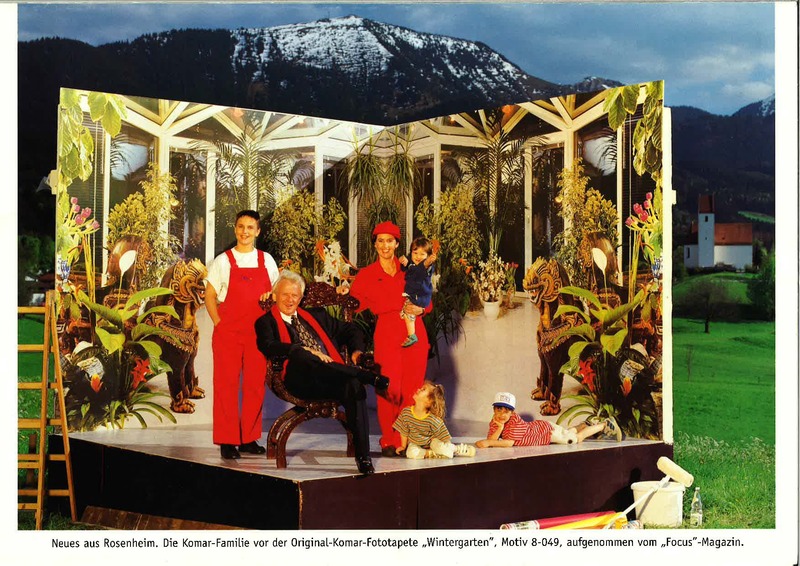 Gerhard Komar with his daughters and grandchildren are photographed for "Focus Magazin". 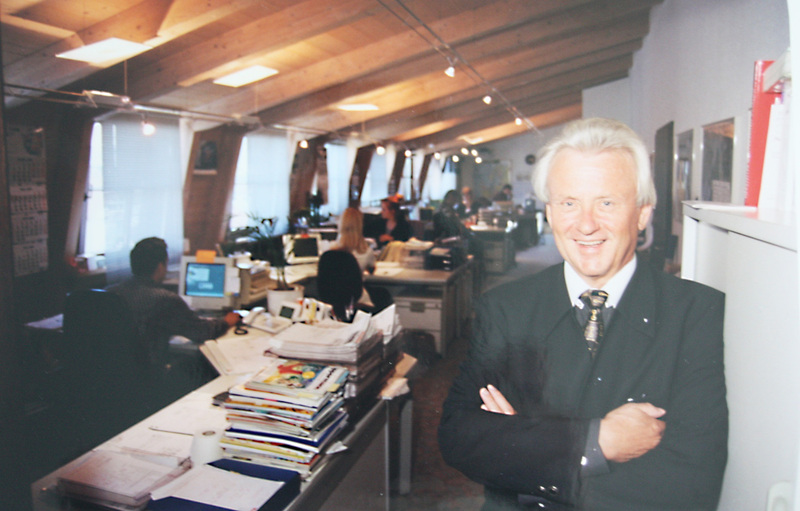 Company founder Gerhard Komar in the business' former premises in Rosenheim. 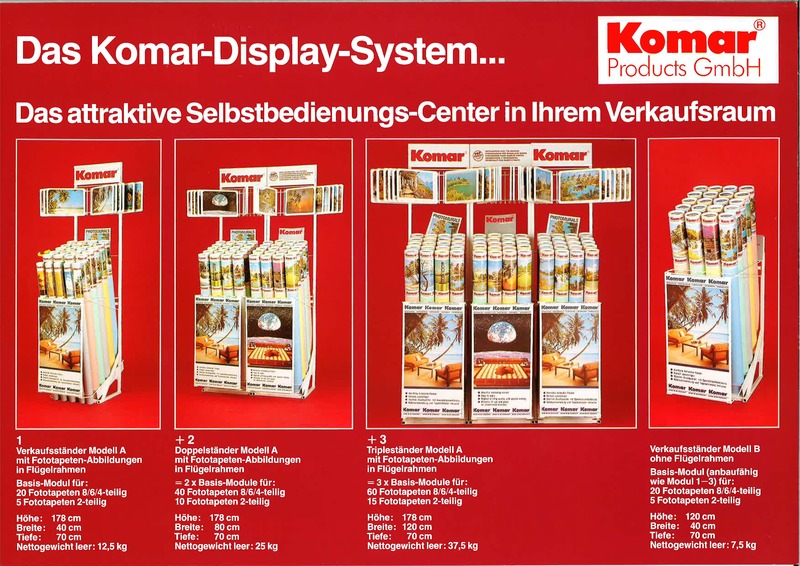 Komar display systems from 1999. 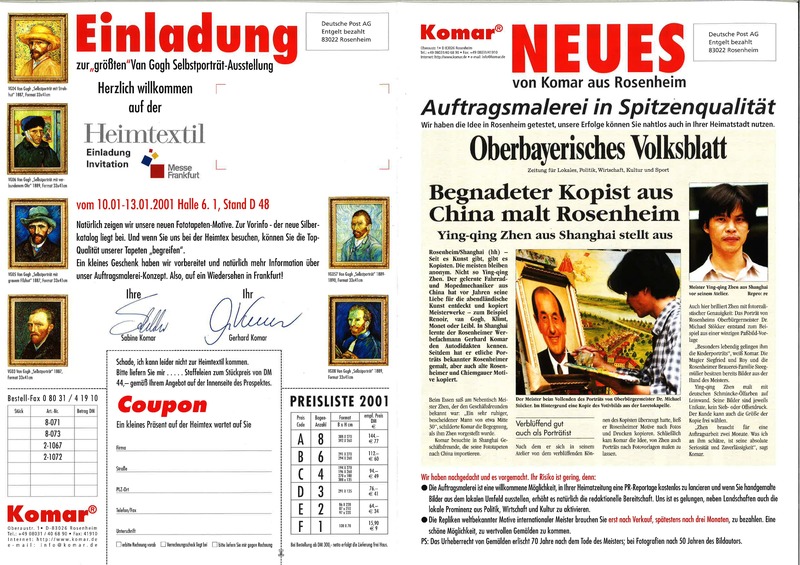 Together with Sister Dolore, the sister of old friend Siegfried Fischbacher, Gerhard Komar inaugurates the "Rosenheim" orphanage in the Romanian town of Frumoasa in 1999. 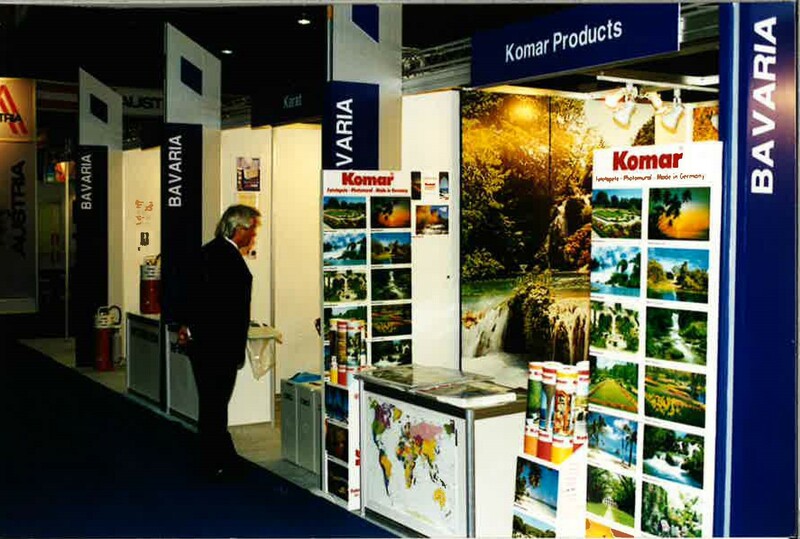 Gerhard Komar at the exhibition stand in Korea in 2000. 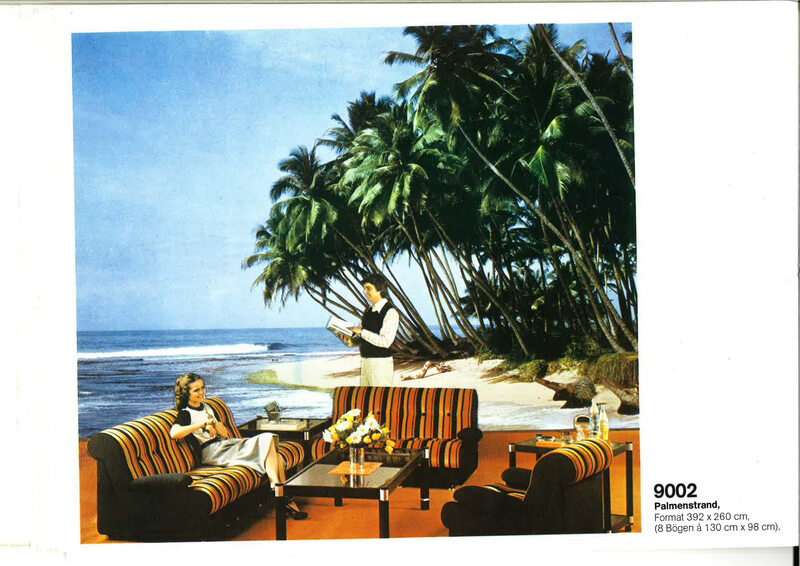 At a business meal in Shanghai, Gerhard Komar meets copyist Ying-qing Zhen, who is sitting at a nearby table, and is impressed by his skills. 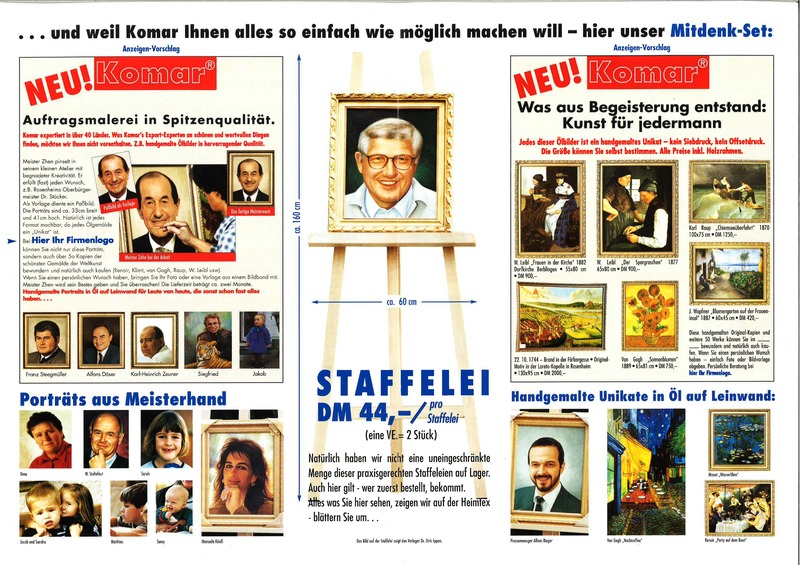 In cooperation with Zhen, Komar now starts reproducing motifs of the city of Rosenheim and photorealistic portraits based on photographs. 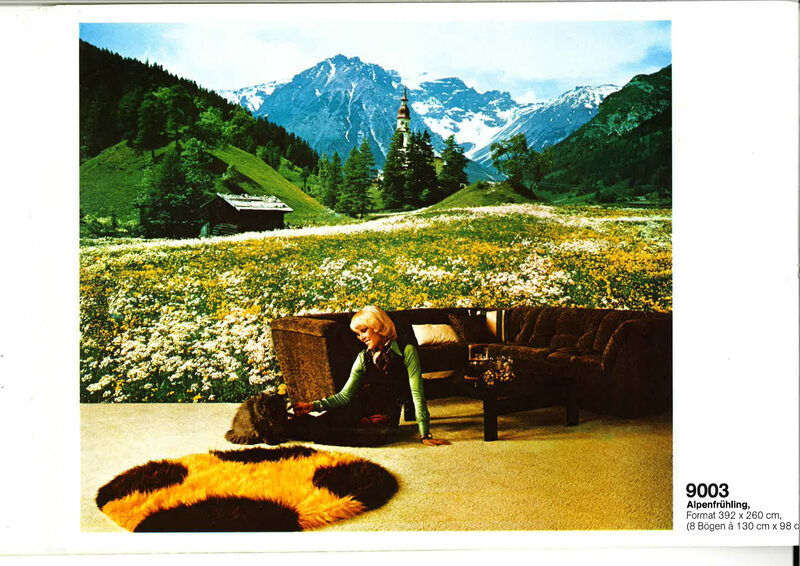 The TV channels RTL, ZDF and ARD broadcast documentaries about the changes in photomural trends. 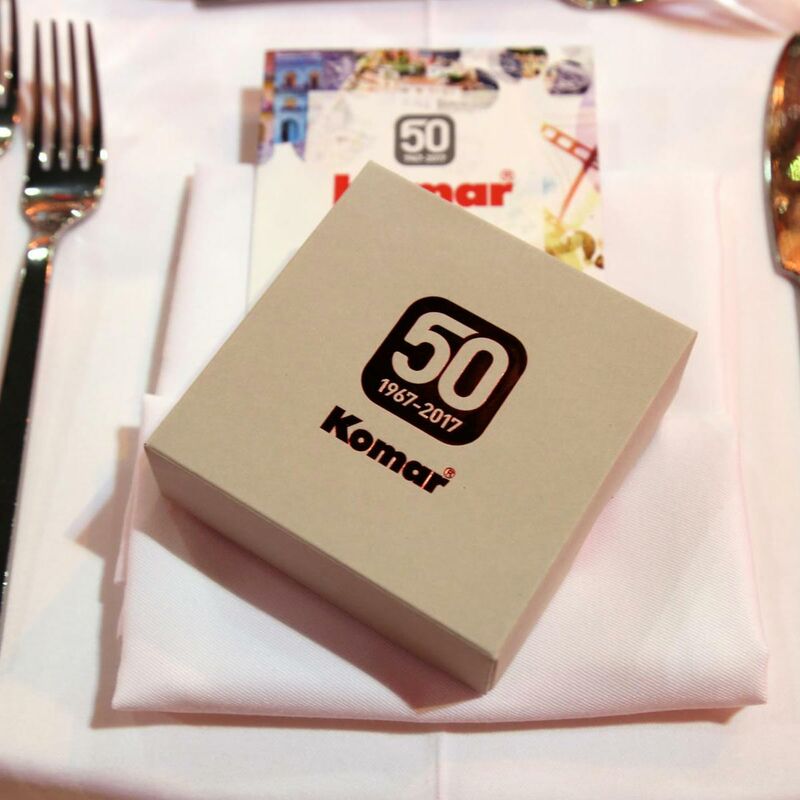 Komar is featured in the programmes as market leader and long-standing expert in the industry. 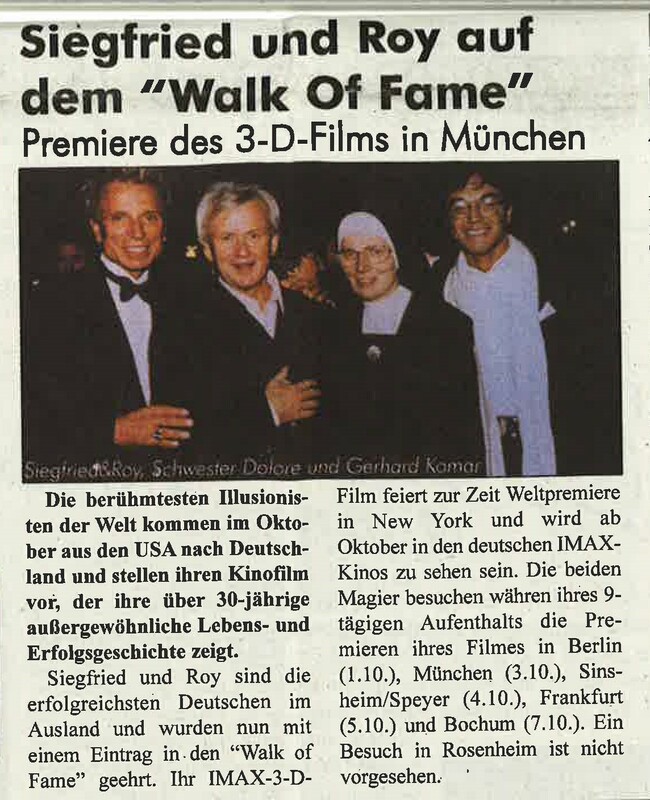 Company founder Gerhard Komar, Sister Dolore and magicians Siegfried & Roy attend the film premiere "Siegfried & Roy – Masters of Illusion". 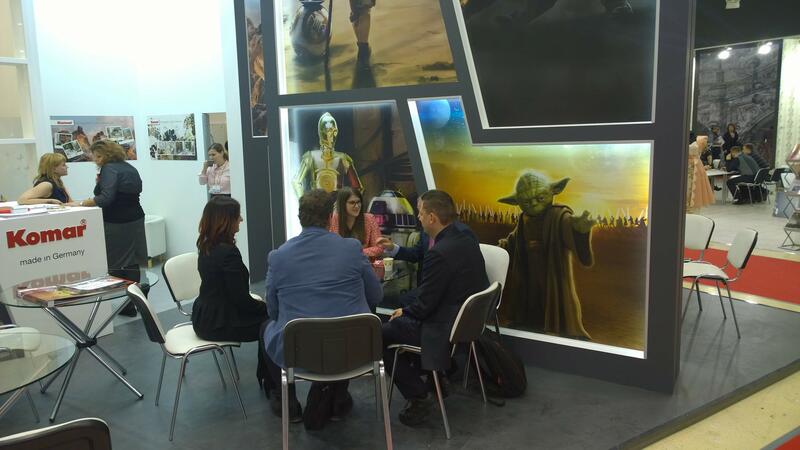 Gerhard Komar and daughter Sabine negotiate with business partners from Dubai at Heimtextil in Frankfurt. 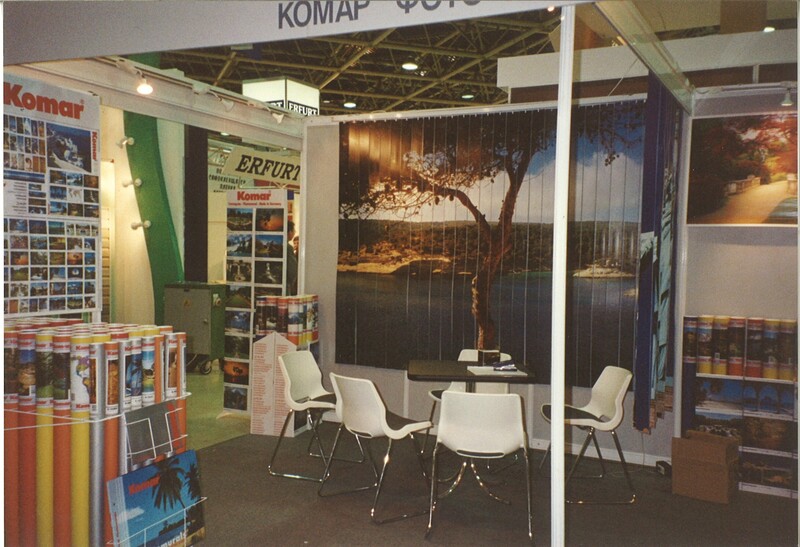 Since 1996, Komar delivers to the Eastern European market and attends the trade fair MosBuild in Moscow in 2004 for the first time. 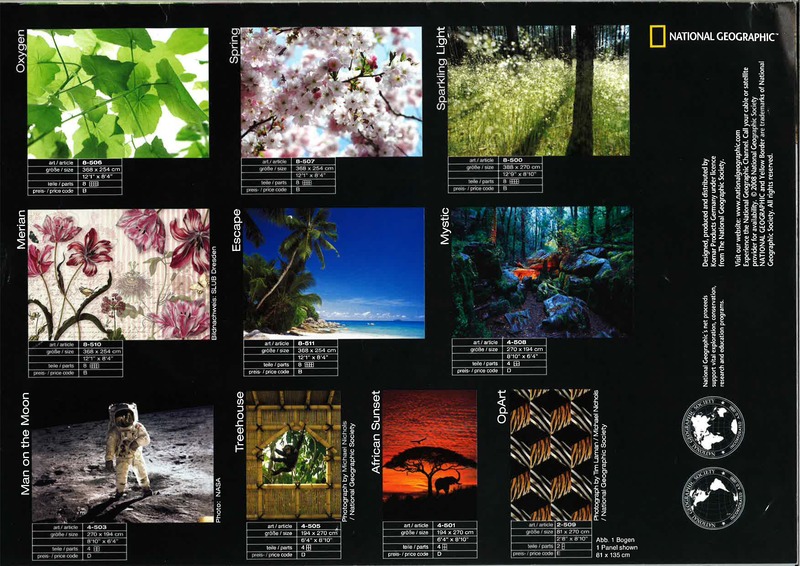 In 2007, the company acquires the National Geographic licence. 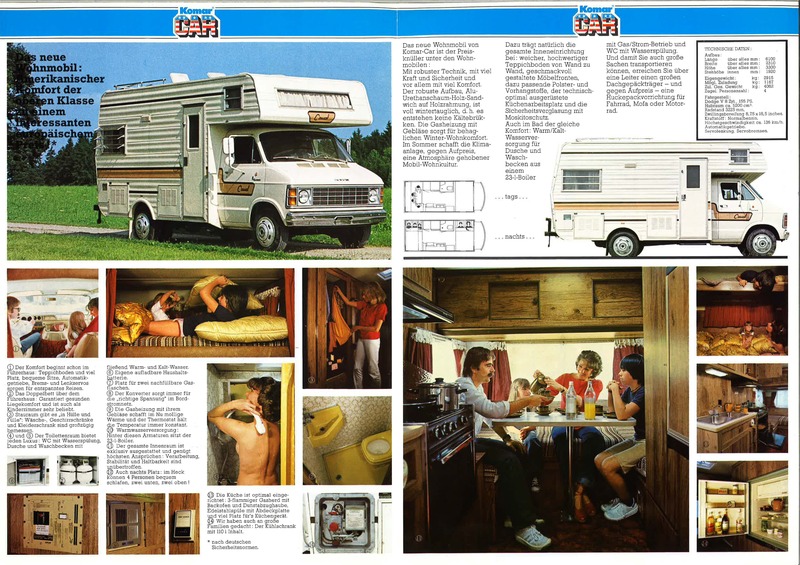 The company continues to grow. 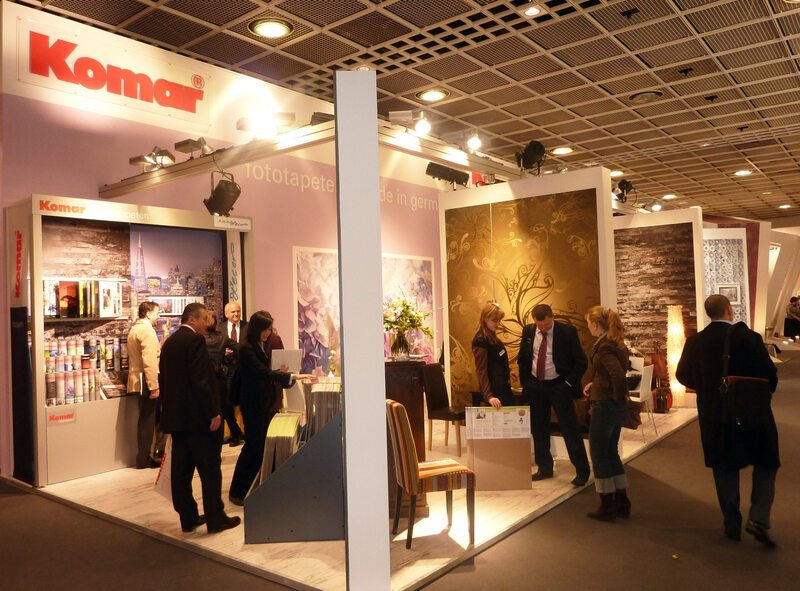 With innovative motifs and high-quality creative designs, Komar achieves new success. 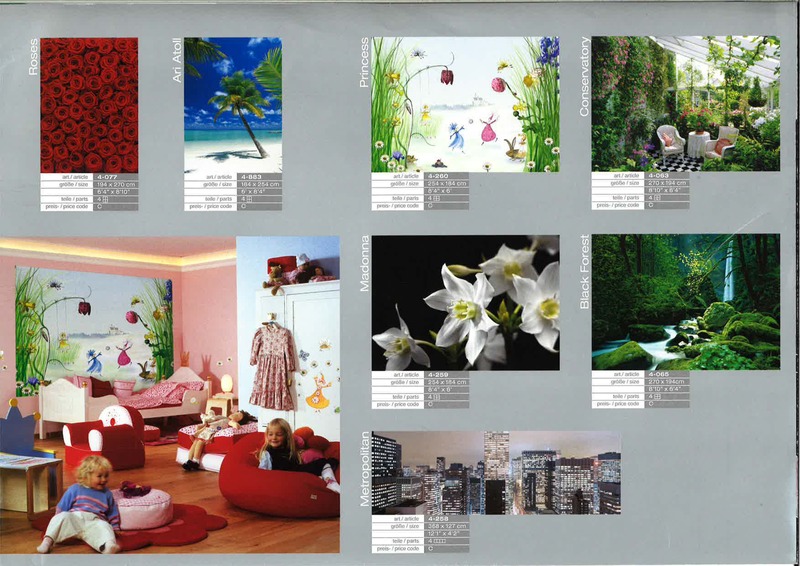 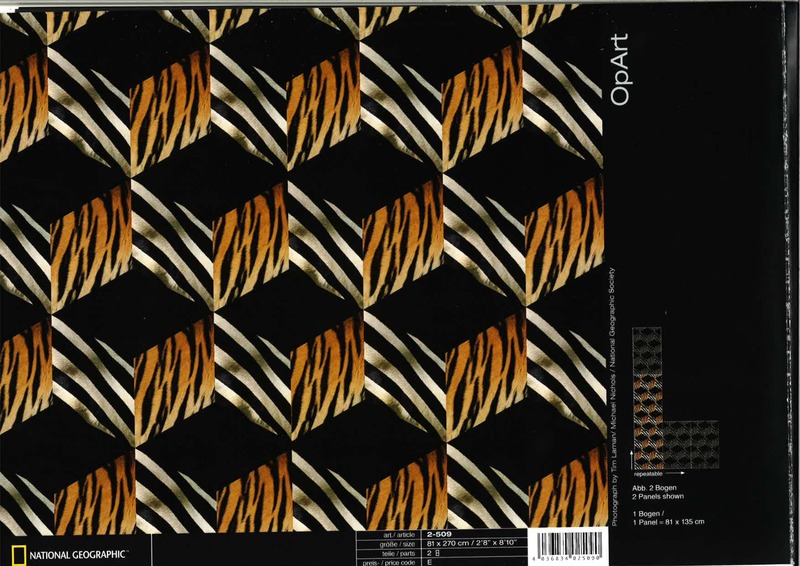 The photos show extracts from Komar's 2008 catalogue. 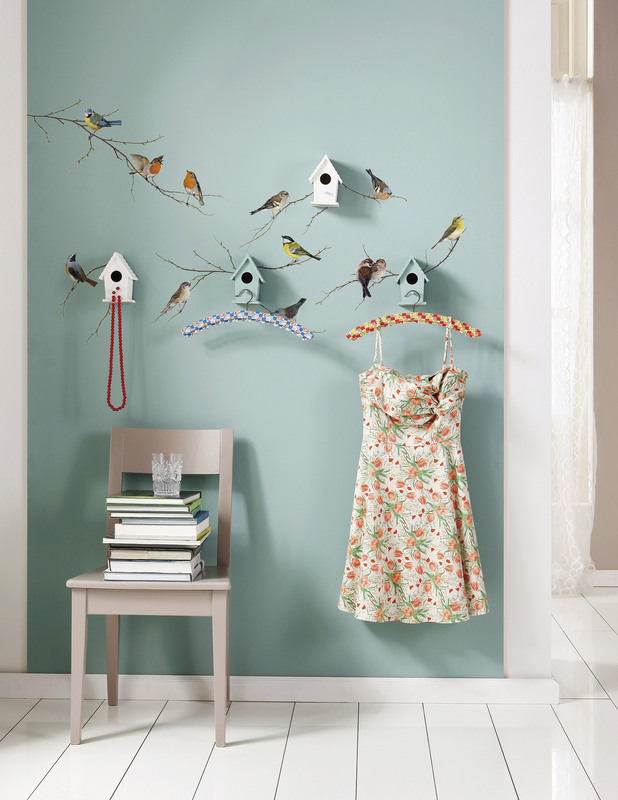 Furthermore, the assortment is extended by self-adhesive deco decals for walls and windows. 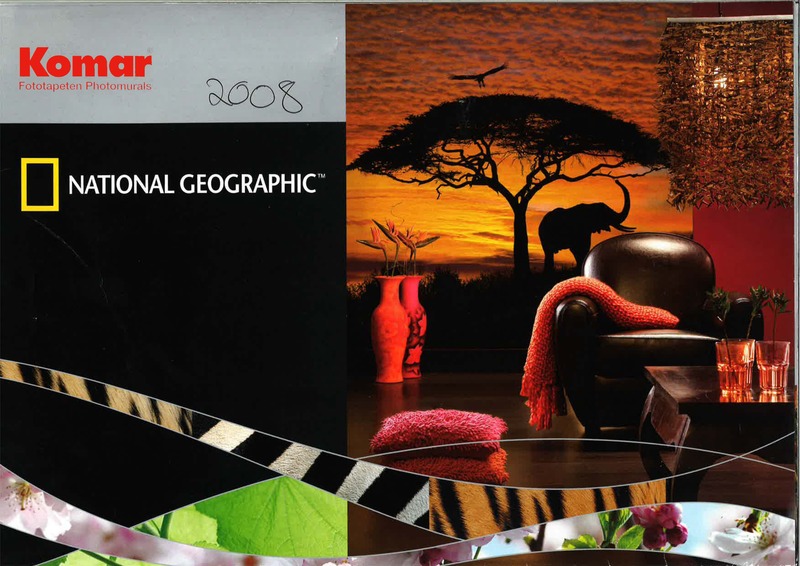 The Komar 2009 wallpaper book. 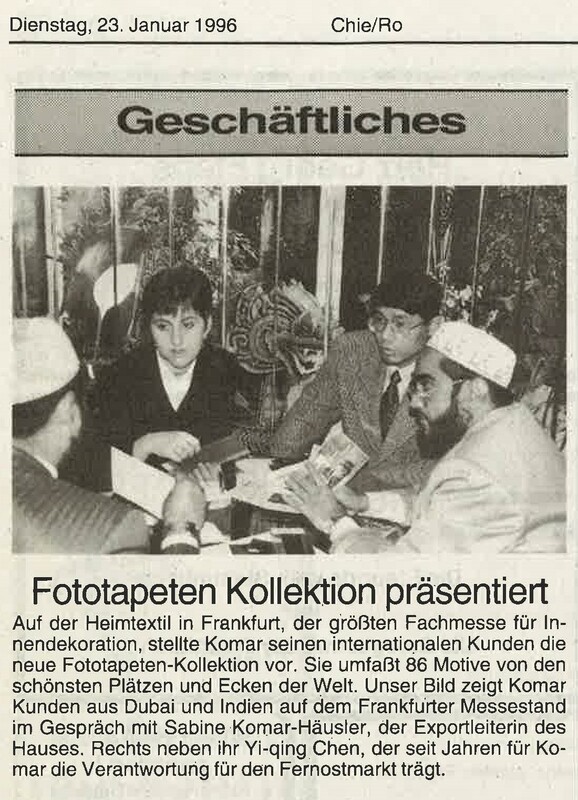 Heimtextil trade fair in Frankfurt, January 2010. 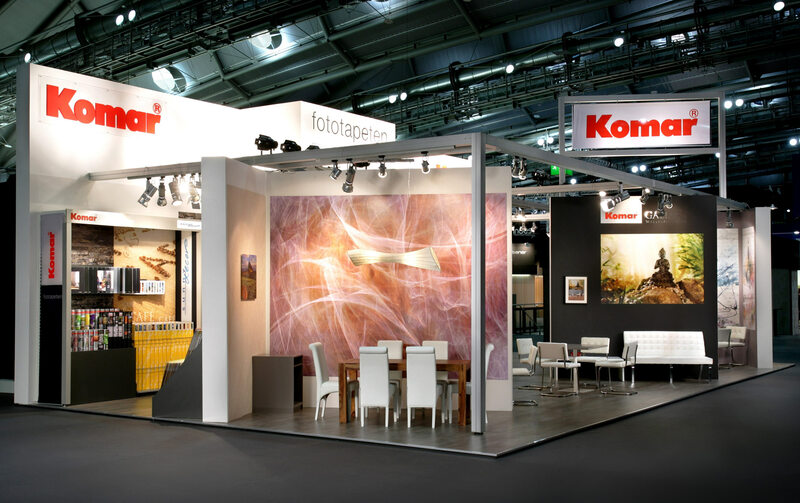 Komar's stand at Heimtextil in Frankfurt in 2011. 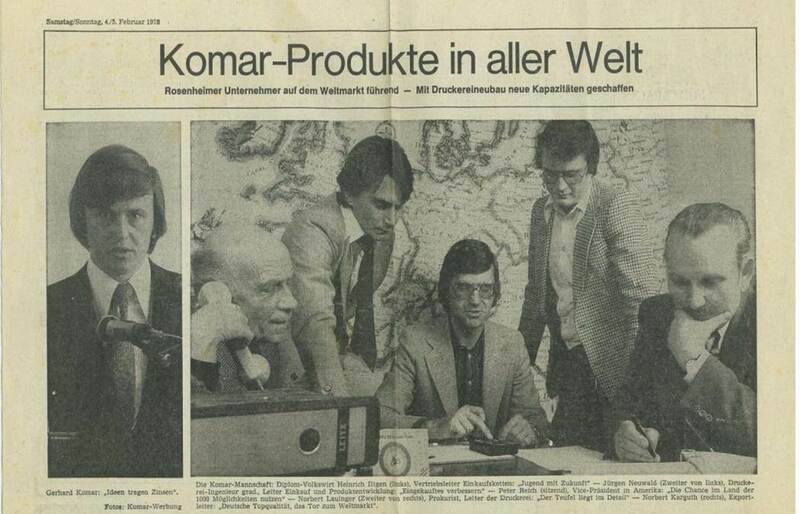 After the relocation of the production unit, Komar moves its entire headquarters to the Hertopark in Kolbermoor in 2012. 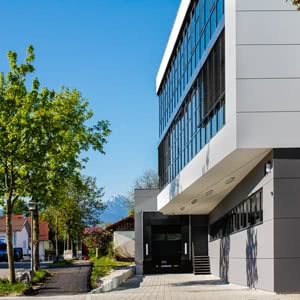 This means that the previously separate office building and warehouse facilities are located on the same site for the first time. 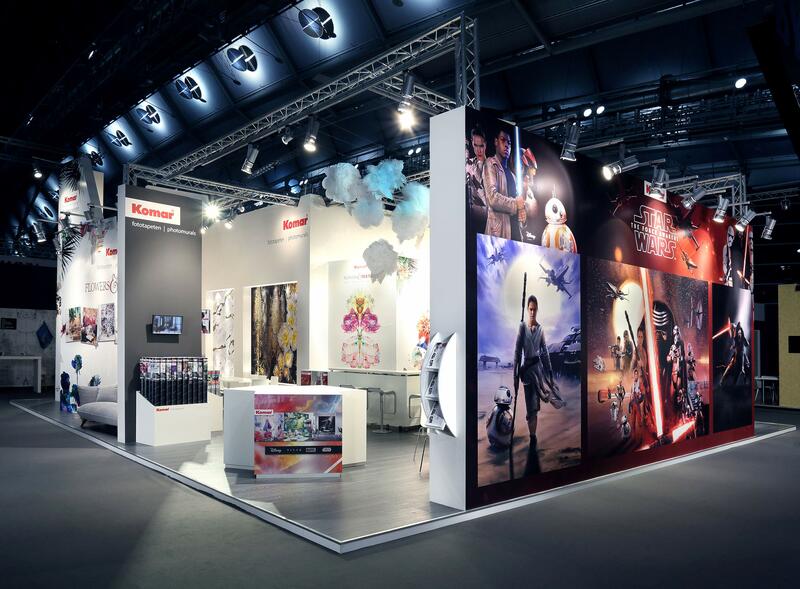 In the same year, the company acquires the licences for Disney, Marvel und Star Wars. 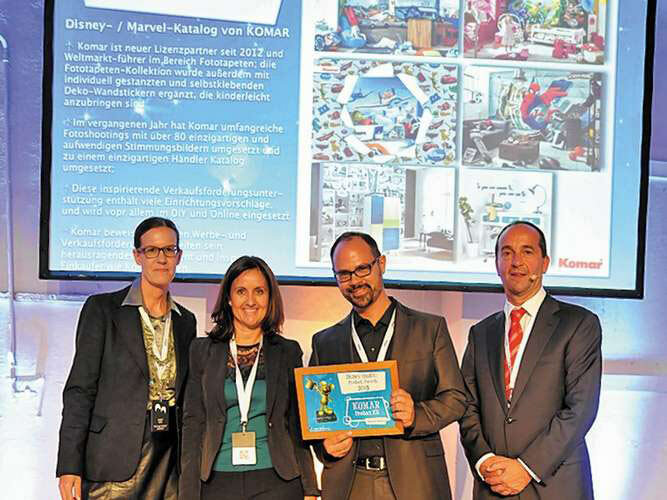 After acquiring the Walt Disney licence in 2012, Komar is awarded the 2012 Disney Special Award for its Disney/Marvel catalogue just a year later. 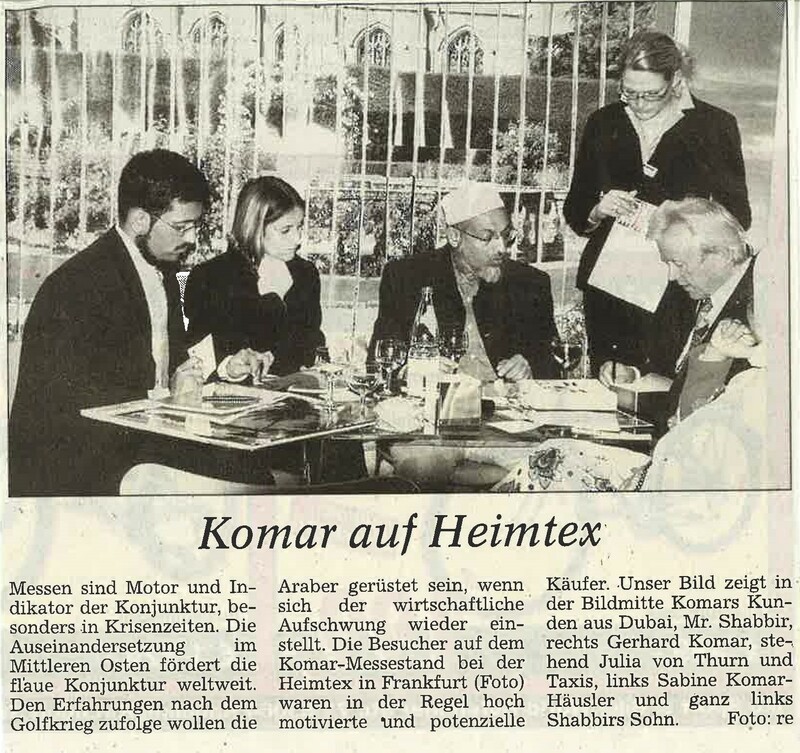 The photo shows Komar's Managing Director Sabine Komar-Häusler (second from left) and Head of Design Frank Zoephel (second from right). 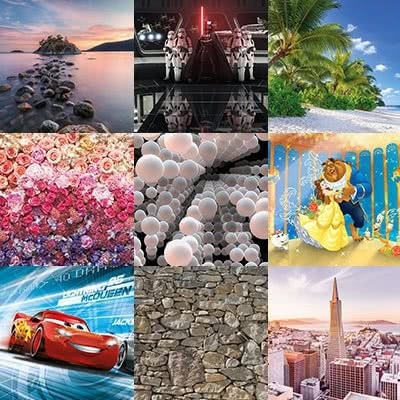 In the same year, the company acquires the licenc for Melli Mello. 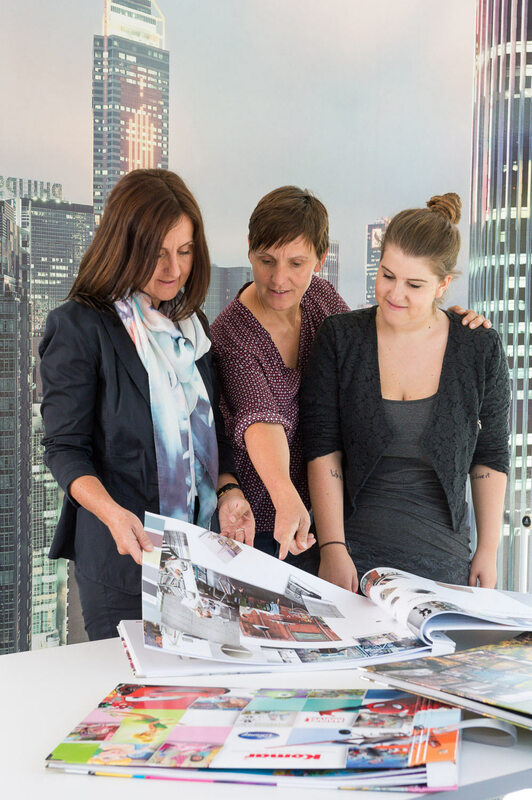 Managing Director Sabine Komar-Häusler with sister Carola and daughter Marina. 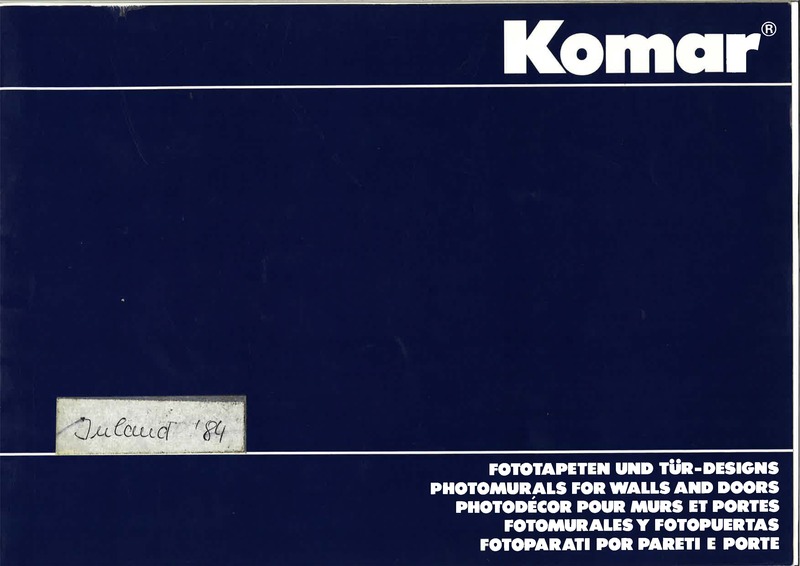 Komar is now in its third generation. 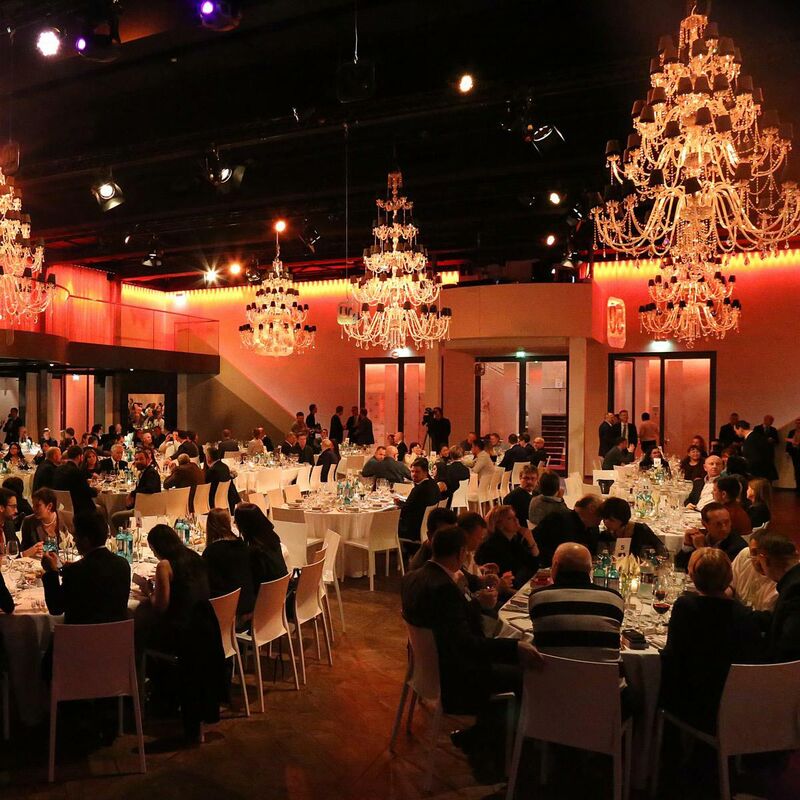 Presentation of the Kreativ-Awards 2015. 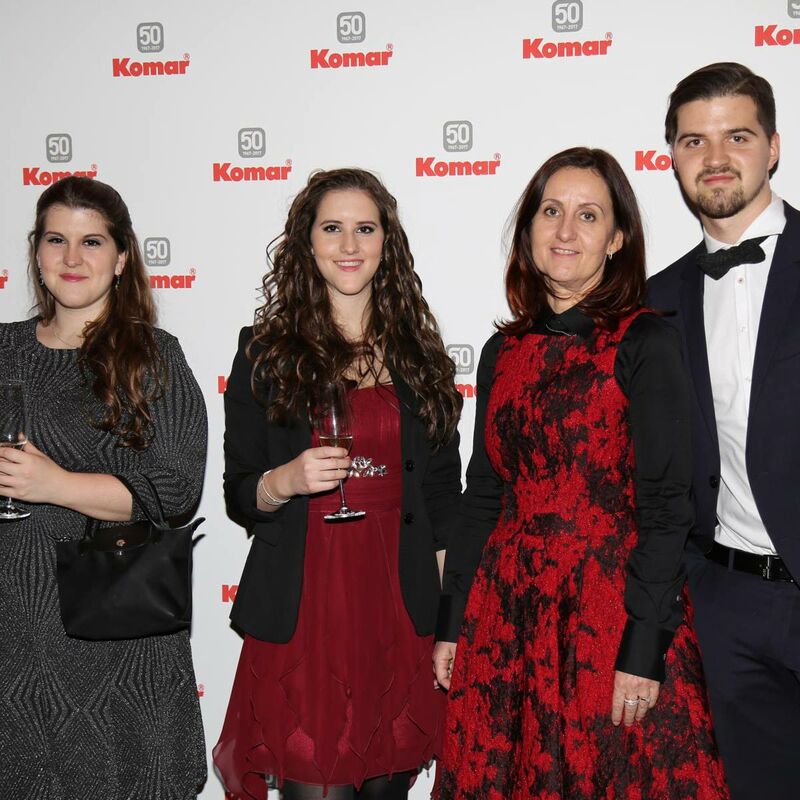 At the Creativa exhibition, Komar is a member of the competition jury in cooperation with the weekly magazine "Laura Wohnen Kreativ". 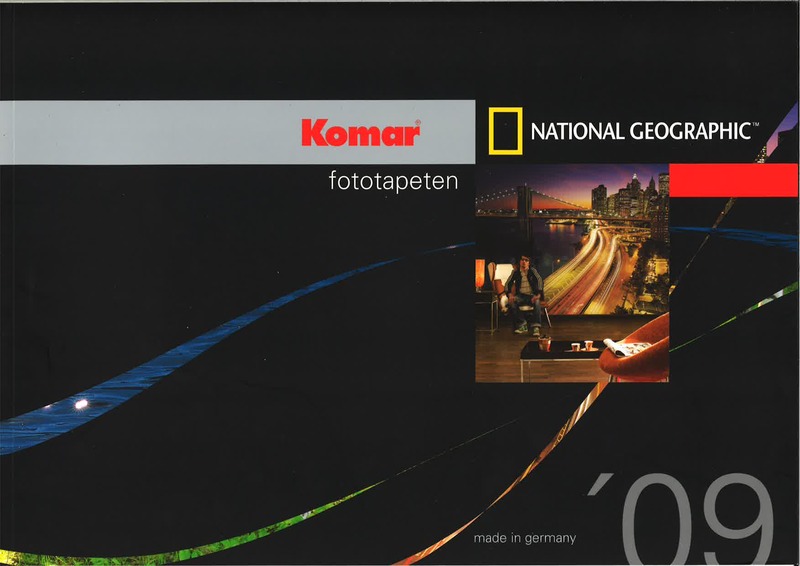 The main prize is a voucher which can be redeemed under www.komar-one.de. 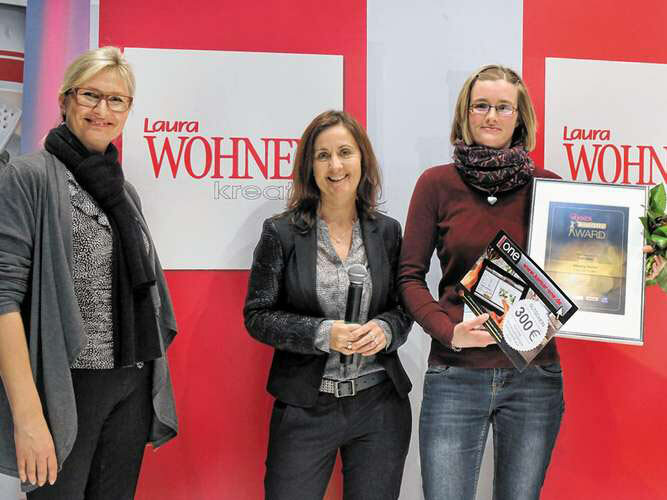 The photo shows Managing Director Sabine Komar-Häusler (centre) at the presentation ceremony. 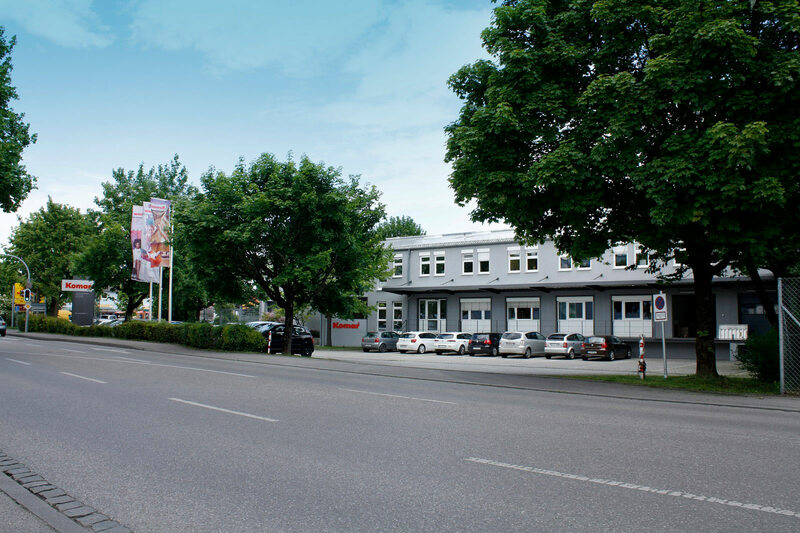 To adapt to the company's continued growth, Komar acquires another building in Kolbermoor in 2015. 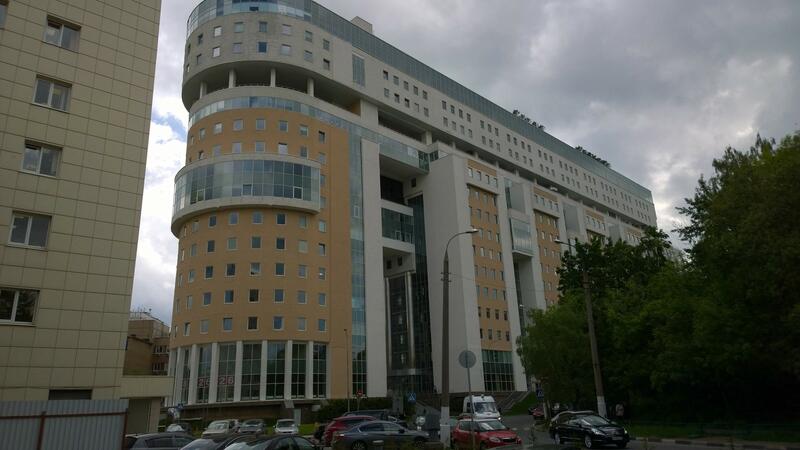 Komar establishes the subsidiary Komar RUS based in Moscow. 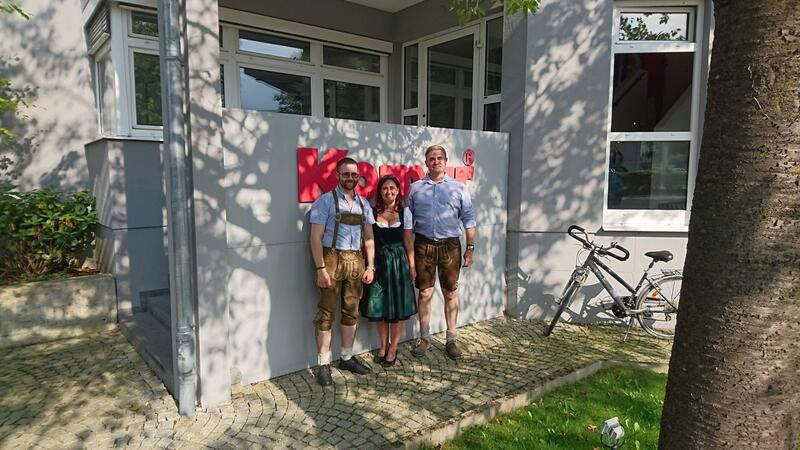 The photos show the new administrative building (right) and Andrey Ustavshchikov, Managing Director of Komar RUS (left picture, first on the right), with son Pavel and Managing Director Sabine Komar-Häusler during a visit to Kolbermoor in Bavaria. 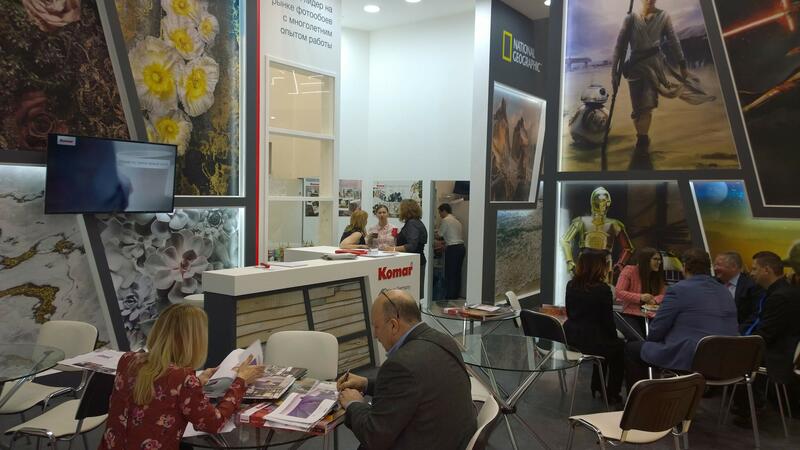 The Komar team at the Mosbuild fair in Moscow. 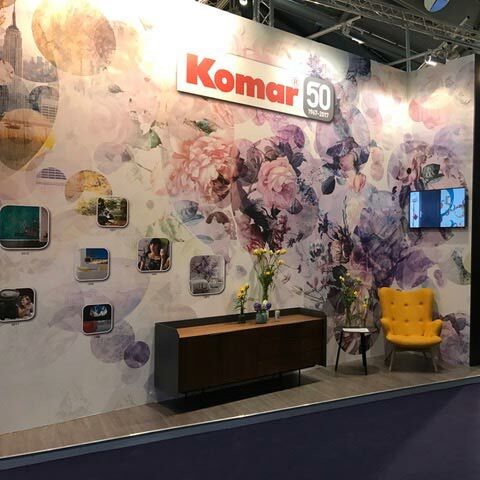 Komar's exhibition stand at Heimtextil in Frankfurt in 2016. 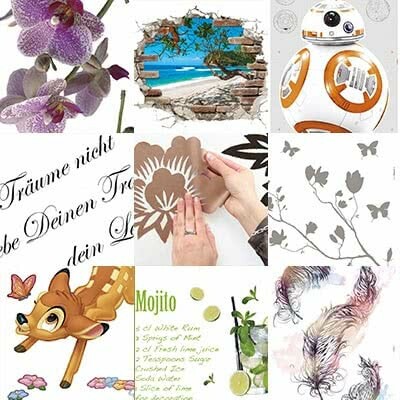 Three new non-woven photomural collections are presented at the Heimtextil trade fair 2017 – the offset XXL non-woven collection „Into Illusions Edition 2“ as well as the two digitally printed collections „Infinity“ and „Stefan Hefele“. 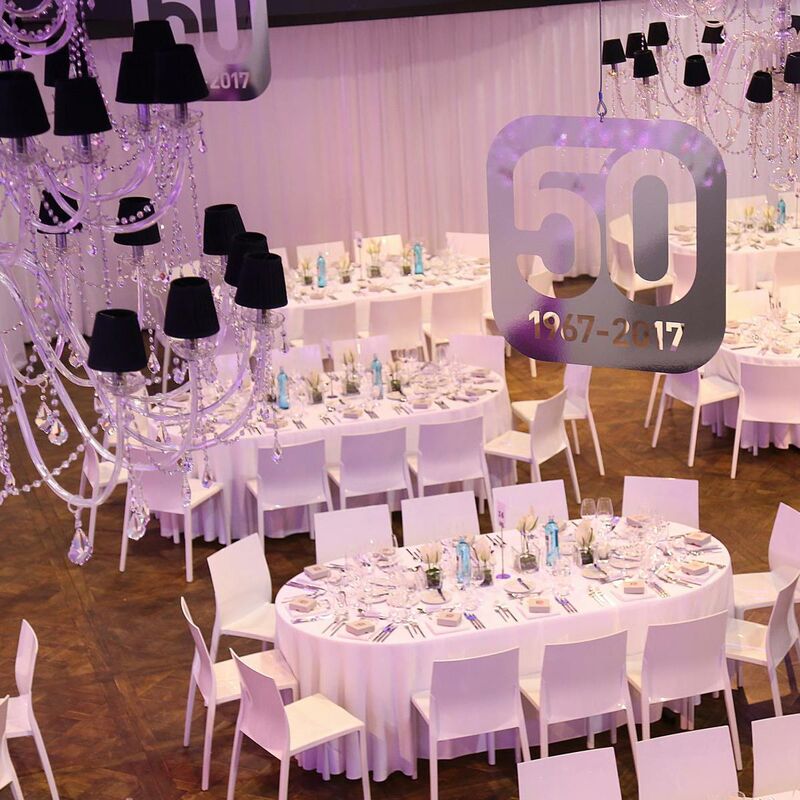 During the trade fair, the company’s 50 years anniversary is celebrated on January 12th, 2017 with a gala evening in the exclusive ambience of the PALAIS in Frankfurt.